In the world of digital media, buyers of almost everything do their research online before making their purchase. Real estate is certainly no exception, and the images that shoppers see will guide them to the properties they want to visit. A recent NAR report noted that 43% of all buyers searched online for properties for sale. A recent Old Dominion University study found that potential homebuyers spend 60% of their time viewing photos of a listing when searching for a home, and spend an average of 20 seconds viewing the first image on a listing. When your listings hit the MLS, the images represent your brand by showing other potential clients how you will represent what is often the biggest single investment of their lives. 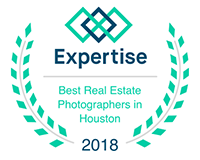 John Pace Photography provides images that are crafted from a combination of ambient light and strobes, resulting in true to life images that are well exposed with the actual colors that exist in the home. Your images will truly represent the property so potential buyers aren’t surprised when they arrive. If for any reason, you are unhappy with the images, we will either reshoot the location or provide a full refund.